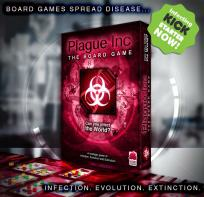 Plague Inc's 2014 Report Card - Best Year Yet with 45 Million Infected! Mutation 1.10 is out now - The Santa's Little Helper Update! Plague Inc. is coming to Windows Phone! We are excited to announce that Plague Inc. is spreading to Windows Phone and will be available to download in the New Year!